Many of my wonderful readers followed Kate's journey through the bone marrow transplant process back in 2011. However, I know I have tons of new readers who weren't around when Kate was fighting for her life. I also realize that I know way more about the transplant process than most people and sometimes I assume everyone else knows what I mean when I say something like conditioning starts today, ANC is only 100, platelets are 7. In reality, only a small subset of the population would have any clue what that gibberish means! As Will starts treatment, I know my updates will be short and to the point, which means they may not always make sense to anyone outside of the BMT community. Enter my new series - BMT 101! 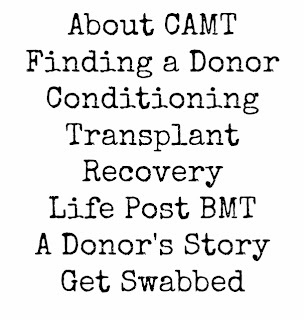 BMT 101 is going to be an 8 part series that highlights my childrens' diagnosis and the bone marrow transplant process from start to finish, written in a way that anyone can understand. My hope is that I can not only help my readers/ prayer warriors better understand the journey, but that I can help spread awareness and understanding about a very complex process. I also hope to feature fellow BMT survivors and share their inspirational stories! I am certain many people don't realize the plethora of conditions bone marrow transplant can cure! Here is where I need your help! I am looking for a donor that anonymously donated bone marrow or peripheral stem cells that is willing to share their story! You can remain anonymous or you can openly identify yourself in your guest post! I do not have experience with the donation process but this is the most important aspect of saving lives! A familial donor would also be wonderful to feature but, I'd really love to have someone from the Be the Match registry discuss the process of being randomly called, accepting, donating, and the role a stranger can play in saving a life. People need to hear what it is like to be a donor. What it is like to put your life on hold for a stranger. What it is like to save a life. If you, or someone you know, is willing to contribute, please send me an email (lindsey.boggan@gmail.com) and we can talk details! Also, if any of you have questions that you want answered as I work my way through this series, email them to me! I will hold a Q&A for each post but would love to incorporate as many answers as I can in the initial posts! 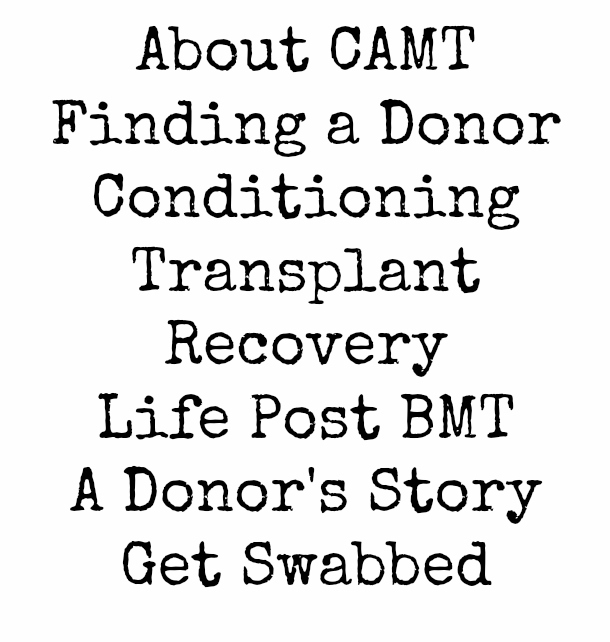 I desperately wish I did not have to write posts about bone marrow transplants. I long to live a normal life free of fatal diseases, chemotherapy, and watching my babies suffer. But, this is my life. This is my journey. This is the Boggan Family's cross to bare. And we will boldly, and confidently, trust in the Lord as we spread awareness for the process that saved Kate's life and will save Will's life as well. Lindsey, I'm so glad you are doing this. I didn't "know" you through Kate's journey and I've gone back and read some of it, but haven't made it through all of it. I think this is also a great way, like you mentioned, for those praying to know what to pray for specifically based on your updates!!! I wish you didn't have to write about this topic also, but I know that your family's story is making a difference. Praying for you all! I wish you didn't have to write about this topic at all, but I'm looking forward to learning more about what your family has/is going through. You all are always in my prayers. I love this series! Sending you an email now! Found your site through FB. Do you still need a comment from a donor? My friend here in Tampa is alive from a be the match donor, and they have remained good friends.